– the premiere of Matt Smith as Doctor Who. What an amazing episode, what a fantastic Doctor Who! Humor and strength with some amazing charisma, Matt Smith is astounding. The segment where the anzati see all the Doctor’s incarnation in a bubble and then he tell them – I’m the Doctor, Now Run – WOW. The new companion – with the whole little girl thing – another brilliant stroke. This is a companion that has loved the Doctor her whole life, this will be one fun ride and since we’re late, we’ve got a few episode now we can watch back-to-back to catch up. She’s a double agent working for the CIA. Huzzah! But how far will she go? Will she kill Mark Benford? Even though we saw this coming, what an amazing twist. There is so many layers in this show it’s astounding it just gets better every week. There wasn’t a V Super Soldier in the original show was there? Holy crow but that’s one powerful warrior – no wonder the regular V’s just say that they are at peace! Also really interesting to see how the soldier class could see heartbeats and sniff out their targets. Doesn’t look like guns will take those lizards down either. Human was yet another fine episode of Stargate Universe. Yeaah a little slow with Rush’s dream — but we get some real insight into why that dude is soo messed up. And how about the Daniel Jackson cameo? kind of wasted in this episode wasn’t it? But you had to love the ’46’ number and Jackson remembering what all Hitchhikers Guide to the Galaxy fans know well – 42 – is the most important number in the universe! Eli, Chole, Scott and Greer will be recovered — that we know – just going to be a question of when. NASA will soon no longer have the ability to put a human into space. Good the U.S. Air Force isn’t as dumb. Yeaah we know the X-37B isn’t loaded with humans (yet), but it is the next generation space shuttle and it’s in orbit — today. The Truth – Finally!! We knew Peter would pissed when he figured out he was from an alternate Earth – and that’s exactly how it went down. The man on the bridge – clearly that’s Walter Bishop from the other Earth. Will we see the two Dr. Bishop’s? I think so – likely the other Dr. Bishop is the most powerful man from that Earth — hell bent on getting his son back. Frost is dead – Dimitry is alive and we’ve got 6 more years worth of Flashforward to watch??!! What a great episode – but now we see that Frost’s Garden of Forking Paths ends on Dec 12, 2016 – THE END. We don’t think that Lisa is Fifth Column – but having her turn against her mother will be fun – oh and is she pregnant by Tyler now? – that’s going to happen! What exactly is Blue Energy – we don’t know — but the Secretary General of the UN (in V) is a smart dude – it’ll put millions out of work and leave humanity dependent on the Vs.
issue #10 finds Buck on the Han airship — as it turns out they like prawns (eew). A relatively simple romp in this issue, that doesn’t really solve much other than to lead us to the next set of bad guys. Yeaah there is another set. After fighting genetic mutations, humans that live below ground, humans that live in the air..
It’s now time for Buck to fight humans that live on the moon. 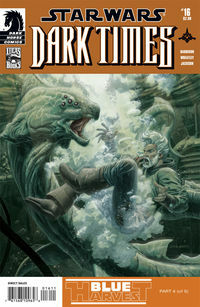 With months in-between issue Dark Horse has made this a tough series to follow.. But we follow cause it’s soo freakin awesome. Finally we get some action here and only one pirate group is left standing – sword law be damned. But how is Das Jennir going to save everyone here? And will he reconnect with his pals bomo and crew? One this is for sure when the next and final issue in this arc is out, we’re going back to re-read all five issues. 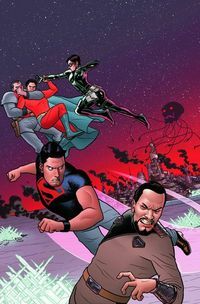 Following directly after Last Stand of New Krypton #2 – where Kandor gets rebottled..
General Zod (KNEEL BEFORE ZOD!!) figures out how to get out of the bottle. Then again after having been trapped in the bottle for so long the first time, it shouldn’t be a big surprise that he figured a way out right? 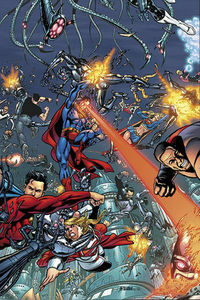 Zod also shows his true colors fighting Connor and saying he’d use him as a pawn against Kal-el. Good old Zod — we knew you couldn’t stay a decent being for long. Faith was another fine Stargate Universe episode. Who or what created the mystery planet? It’s clear that the oblesik was communicating with something but what? I’m sure we’re going to find out…eventually. kinda lame that some ppl wanted to stay behind on the planet on the blind hope that some higher power was looking out for them ..sucky that Chloe was going to stay and then didn’t. The show would be better off without her at this point. The whole TJ is pregnant thing is an interesting twist – but would have been more interesting if she had been pregnant by the planet – instead of Col Young. But still will make for some drama. White Tulip was one amazing episode of Fringe. Walter finds a man who is also trying to change fate – by going back in time to save his wife — BUT what a twist at the end!! He knew he was toast and he just wanted to die with her. The brilliance of having the White Tulip sent to Walter was also amazing. Now he has his sign that he has done the right thing – but has he? Somehow i don’t think Peter will be happy – and what about alternate Earth Walter? I bet he’s pissed. D Gibbons really is a bad man. But what about the whole new sub-plot with FBI director ‘stan’ helping out to send Aron to Afghanistan because the Vice President asked him to? That’s a neat twist –that will come back. Michael Trucco the actor who played Sam Anders in Battlestar Galactica is V’s John May. Oh and V (at least this episode) was director by Star Trek’s Commander Riker – John Frakes!! Isn’t it great how so many SciFi actors get recycled? Ohh and John May Doesn’t Live does he? and yes we have enjoyed ever minute of the New Krypton saga — it is quite possibly the best Superman storyline of the last 30 years. All of the story rests on the premise that the bottle city of Kandor is finally freed – now in Last Stand of New Krypton #2 – Braniac win and puts the city back in the bottle. We did not see that coming, and it’s what makes this series great. We’ve got a few more thoughts on this issue up on our sister site – showmescificomics.com too. He isn’t a Sith either. He is what the Force made him – or so he says. This issue we get to see Cade unleash his Dark Side and his Light Side – yeaah it was cheesy that he used the light to save the Zeltron Delilah Blue – but also VERY VERY cool. Cade is not a total stim junkie – he does have the heart of Jedi – and the power of the Sith within him. Ohh and there’s more in this issue too isn’t there? 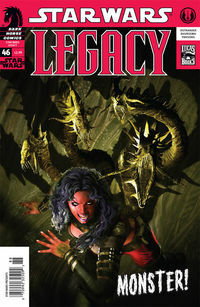 Emperor Fel’s daughter is captured by the Sith!! how did that happen? 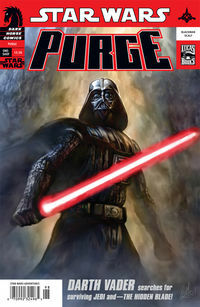 We really like Dark Horse’s Star Wars one-shots. These are 1 issue stories – no need to buy multiple issues to get the whole story. 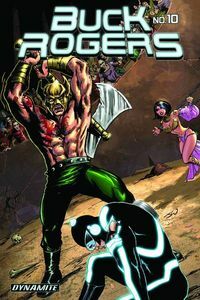 The latest one-shot – Purge – the Hidden Blade – is a basic but fun story. And oh yeah the artwork by Chris Scalf is AMAZING – its a neat waterbrush kinda of effect that is soo different than what we’re used too and really a treat for the eyes. The end of this story – is Vader disappointing the Emperor – not a terribly dramatic twist – but a fun read for sure. Wil Wheaton returns in what is yet another classic Big Bang Theory episode.. This time it’s not a card game challenge – but the bowling alley – and he somehow manages to get penny to break-up with Leonard! I LOATHE YOU WIL WHEATON!! Stargate Universe is a GREAT show. You need to look no further than this weeks episode Divided to see that. Rush and the civilians try to take over the ship – but loose out to the military that take it right back. Wasn’t it sweet to see Col Young just walk into the room where Rush was – after the mutiny? What drama! Chloe is also clearly a beeatch choosing Rush over her sleeping buddy – not the right choice for her. And let’s hope Eli doesn’t fall for her either. Somehow the crew will get along – or not – but it just adds to the dynamic aboard that makes this show so much fun to watch. Added to that is the ongoing power issue with Destiny itself. Eli and Rush will need to figure out how to get more power so they can have full shield and be able to return fire when next the super-Asgard attack.